I’ve decided to start project life. All digital of course, because paper is my nemesis. 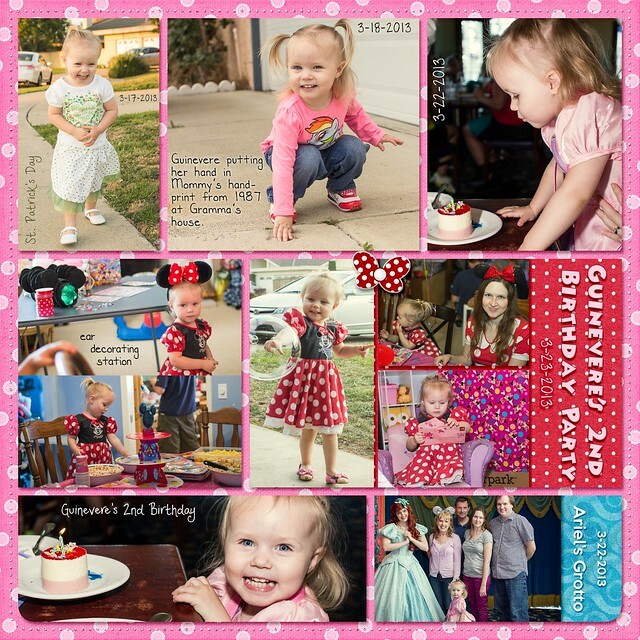 I’ve enjoyed inconsistent digital scrapbooking for a number of years but have never been very regular or “album oriented”. I’ve only managed to make two books, ever, and my wedding book took like 4 years to complete and get made. I finished a book for Guinevere’s second year shortly after her second birthday when I noticed a coupon for a free book from shutterfly. I finally heard about “project life” and “pocket style” enough for it to sink in and for me to start to “get” what it is. So I started where I was and have done a couple of the prior weeks and I already have 3 pages fully completed and 3 more mostly done (like pictures in, but no papers, etc). I’m basically doing a page per week, but I’m giving myself the option of flexibility for like a double page for a really big week or a page dedicated just to a holiday. March 31-April 5, 2013. Easter Week! I like that this style is very linear, simple, and photo-centric. It feels like “me”! 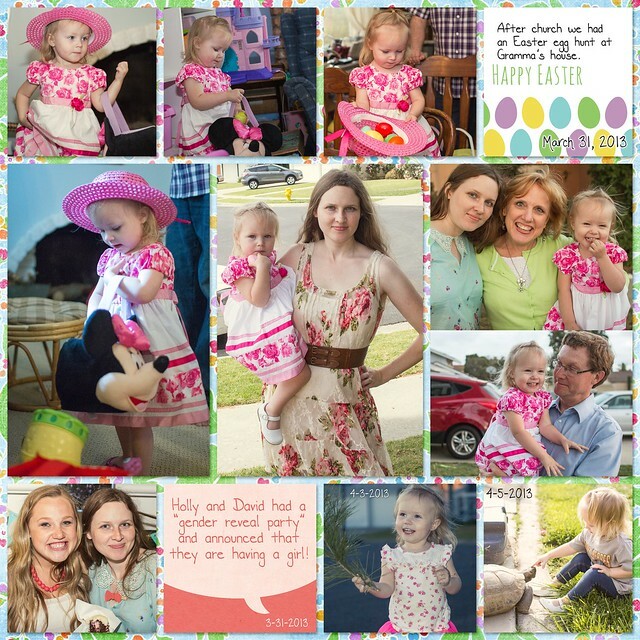 This entry was posted in Journal, Photography and tagged birthday, Easter, project life, scrapbooking on April 20, 2013 by Shannon.